The unit incorporates a female PS/2 port at the rear, allowing both the keypad and a PS/2 keyboard to be plugged into the computers PS/2 keyboard port at the same time. 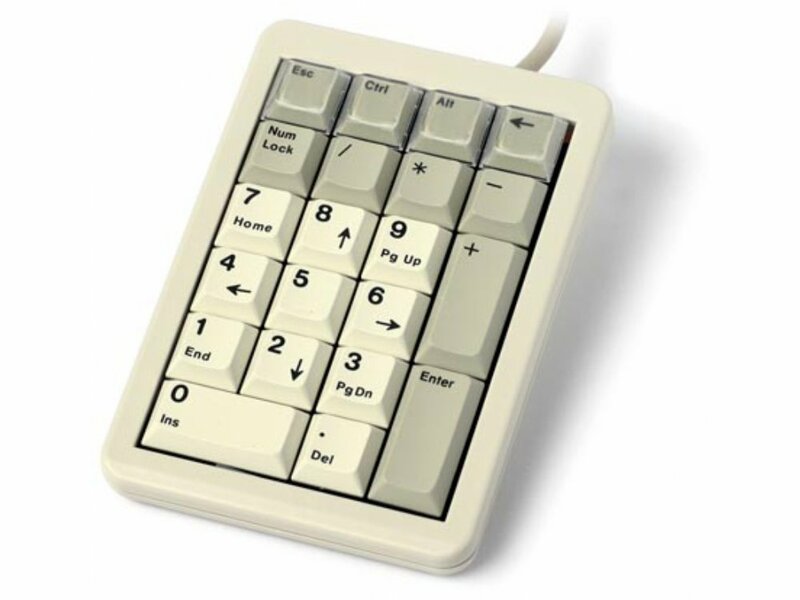 The unit also boasts 4 re-legendable, freely programmable keys and all the other keys can also be reprogrammed, or left as standard keypad keys. No drivers needed. No setting up required. Programing - Hold down [Numlock] and the key you want to program, release and type what you want the key to output, then press [numlock]. Reset - Hold down [Numlock], [-] and [Enter].